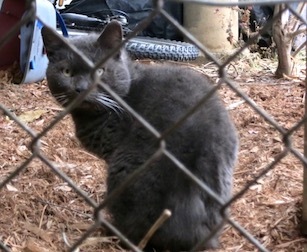 Gray cat – Ahuntsic, close to metropolitan. Seems lost since October 2016. Impossible to approach him/her, very timid. We’ll try to take better pictures. Previous Post: Houston – found!